I love ancient relics, and I love materials that become beautiful with wear. I love the fact that polymer clay lets me create artifacts that appear to be centuries old, uncovered by careful archaeologists gently brushing away the dusts of history. So, here are the latest. 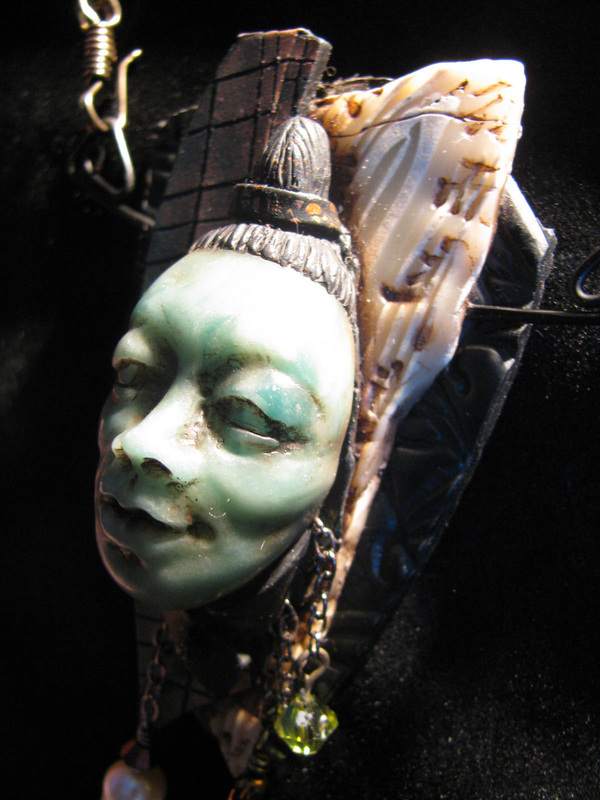 From faux jade to faux fossilized ivory, faux porcelain to faux bone, these faces are derived from one face carved by hand (mine - hand, that is, not face! 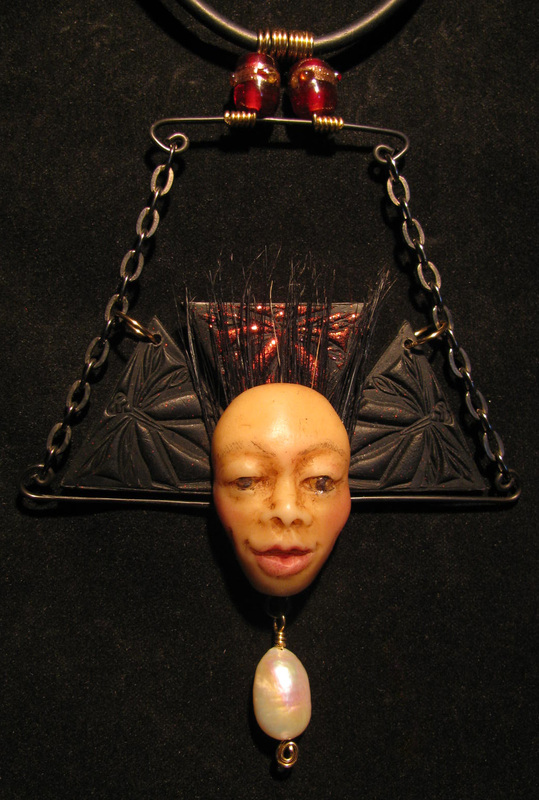 ), cured, a mold made, and the molded images further altered to reflect their roles in these "ancient" adornments. 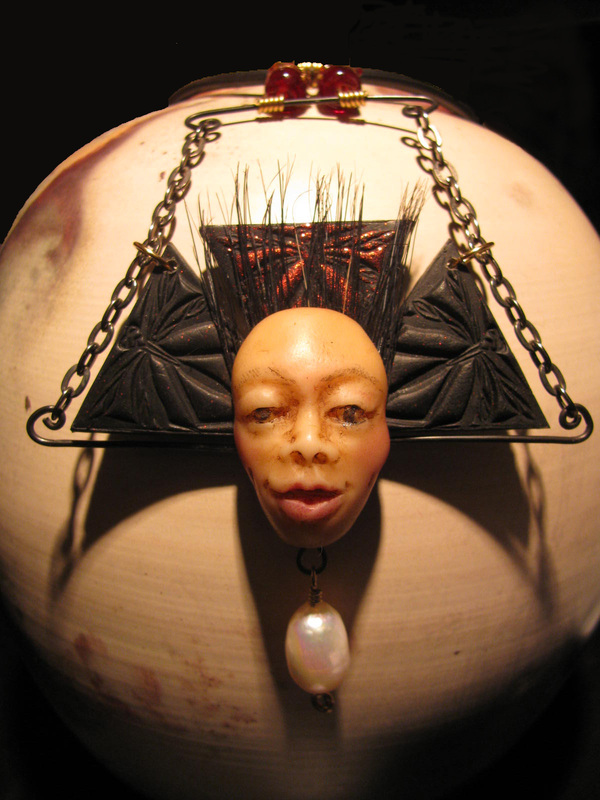 Hiroki is sculpted from Cernit, hand tinted with oils, sitting on a "fan" back made from Kato clay, highlighted with red glitter, a veil of old paint brush "hair", a beautiful freshwater pearl, hammered steel﻿ wire, gunmetal chain, red glass lampwork beads, a brass coiled bail, hanging on an 18", 3 mm thick buna necklace, finished with a handmade brass hook and eye clasp. Quetzelculpa evokes ancient Mayan excavations yielding finds of fossilized bone, ossified, dirt-encrusted, patinated to reflect centuries of burial. The face is layered on a beautiful sheet of mottled gold clay, overlaid with a gold encrusted "tiled" piece of clay. 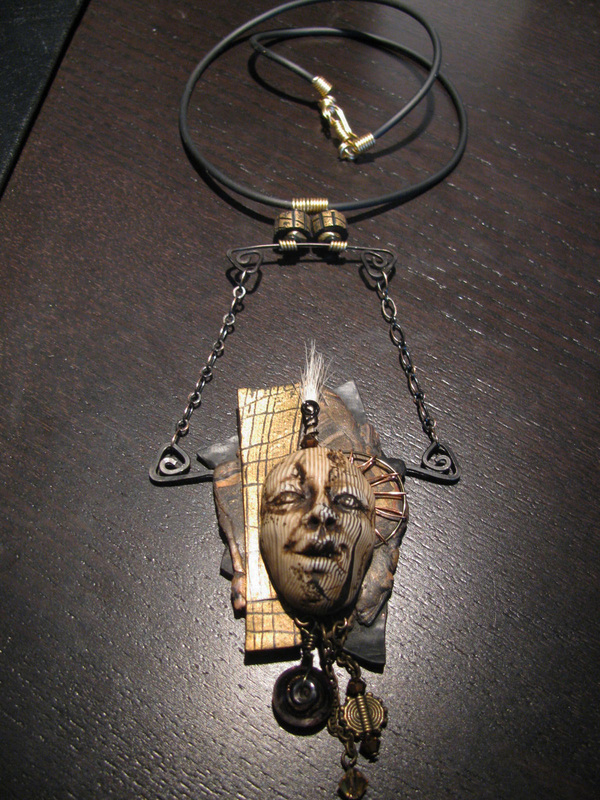 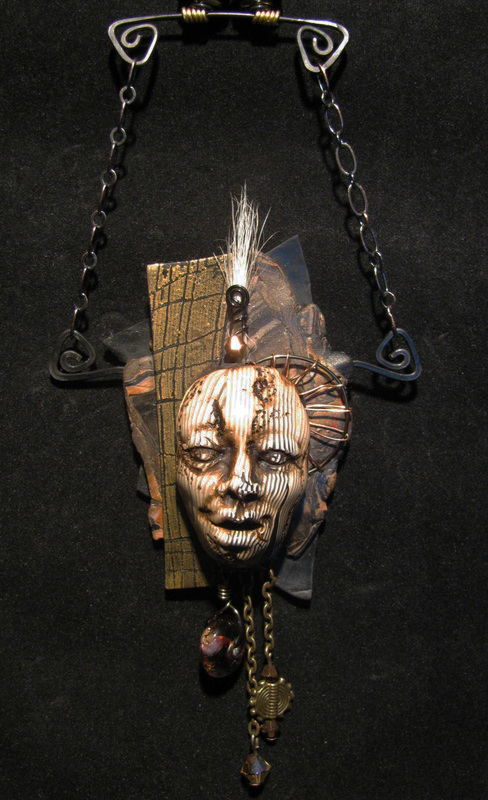 Again the piece is enhanced with simulated hair, wirework, crystals, lampwork bead, brass bead, gunmetal chain, hammered steel wire and brass clasp on 18" buna. Mikado simulates sensuous, translucent, warm jade with accents of copper leaf in the topknot and kimono neckwrap. 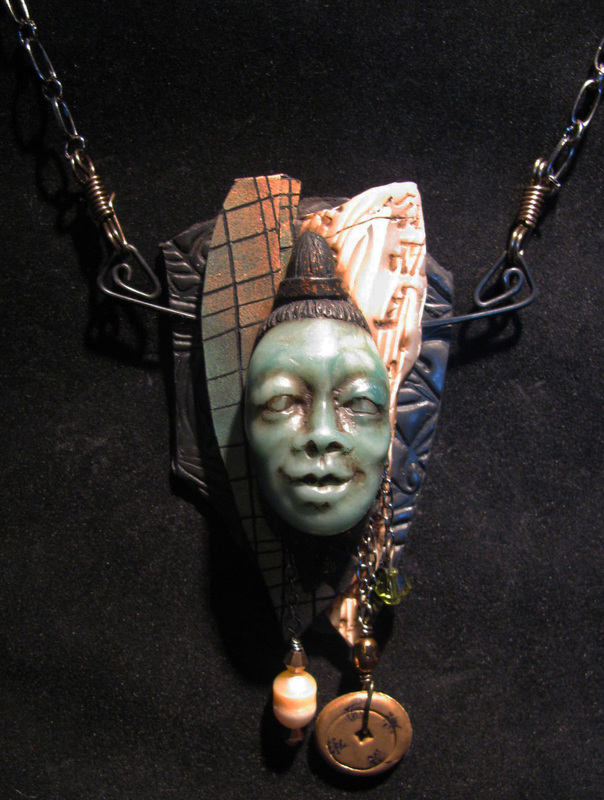 A creamy pearl, oriental coin and green Swarovski crystal provide movement. 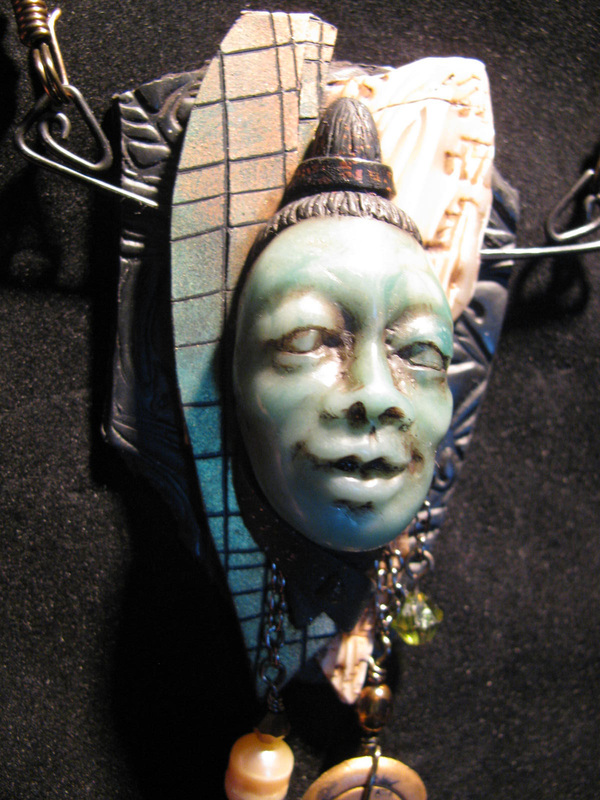 The head sits on a layer of antiqued fossilized bone impressed with oriental script﻿ next to a piece of coppery-gold-green "tiled" piece of clay. 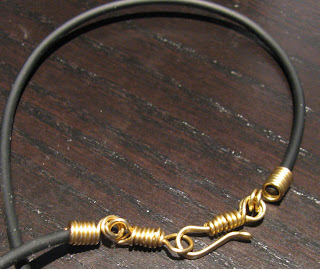 The necklace is gunmetal chain with two gunmetal hooks holding the hammered steel wire. 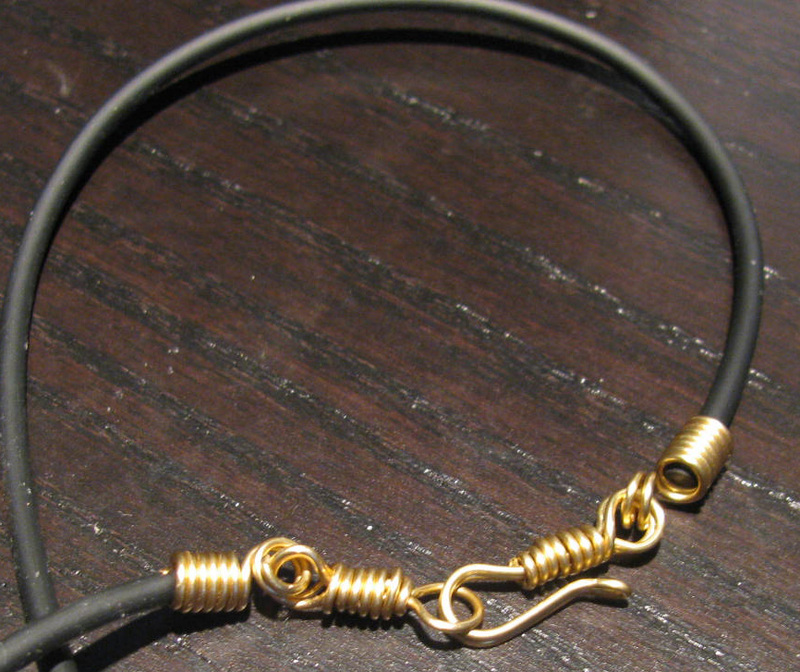 These can be detached and a totally different neckwire put on if the wearer so chooses. Thanks Keana. 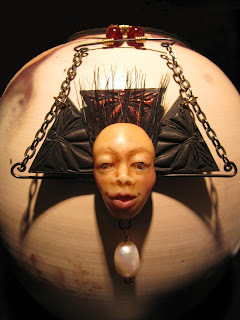 I like sculpting faces, but some of mine are a little freaky sometimes. 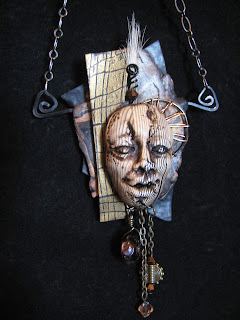 Maybe it's my mild personality asserting itself.......?